Hundreds of employees from the Transportation Security Administration are calling off sick during the government shutdown. According to a report from CNN, as many as 170 employees called of sick from New Works John K. Kennedy International Airport. Call-offs increased between 200 to 300 percent at Dallas-Fort Worth International Airport. 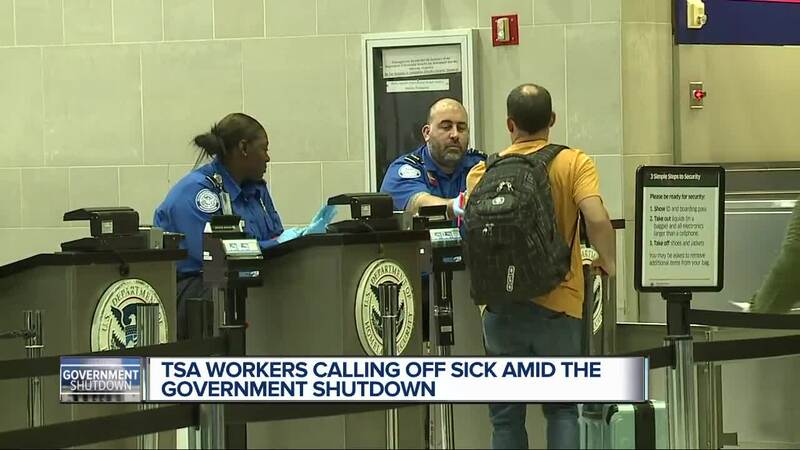 METRO AIRPORT, Mich. (WXYZ) — Hundreds of employees from the Transportation Security Administration are calling off sick during the government shutdown. According to a report from CNN , as many as 170 employees called of sick from New York's John F. Kennedy International Airport. Call-offs increased between 200 to 300 percent at Dallas-Fort Worth International Airport. TSA employees are still required to work, despite not receiving a paycheck during the government shutdown. 7 Action News reached out to a spokesperson from the TSA for Detroit’s Metro Airport, but was told he cannot make a comment because he is currently furloughed. 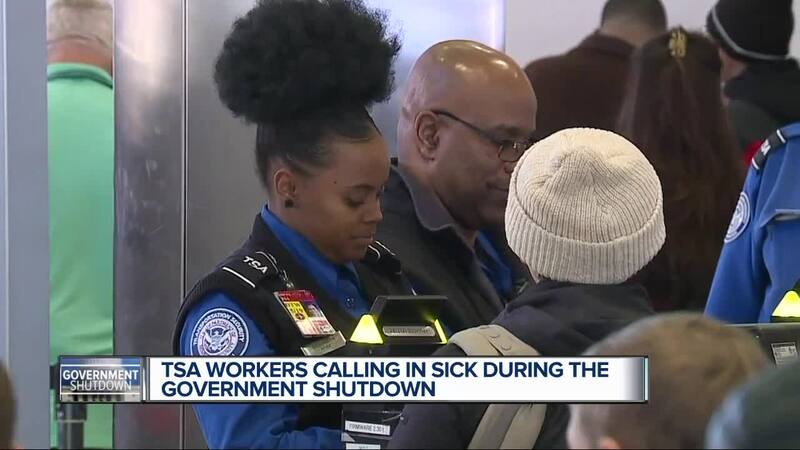 People working at the airport tell 7 Action News off camera they have not seen or heard of any call offs from TSA because of the government shutdown at Detroit Metro Airport. We don’t have local information, however we can confirm that call outs began over the holiday period and have increased, but are causing minimal impact given there are 51,739 employees supporting the screening process. Security effectiveness will not be compromised and performance standards will not change. Wait times may be affected depending on the number of call outs. To date, however, screening wait times remain well within TSA standards. Yesterday, TSA screened over 2.2 million passengers. Overall, 99.8% waited less than 30 minutes. TSA is grateful to the agents who show up to work, remain focused on the mission and respectful to the traveling public as they continue the important work necessary to secure the nation’s transportation systems. Gregory says TSA employees who are working during the government shutdown will eventually be paid. He says so far they have no missed a paycheck. They are scheduled to be paid on the 11th. ccording to Gregory, if government officials can make a deal sooner rather than later they may not miss a paycheck at all.